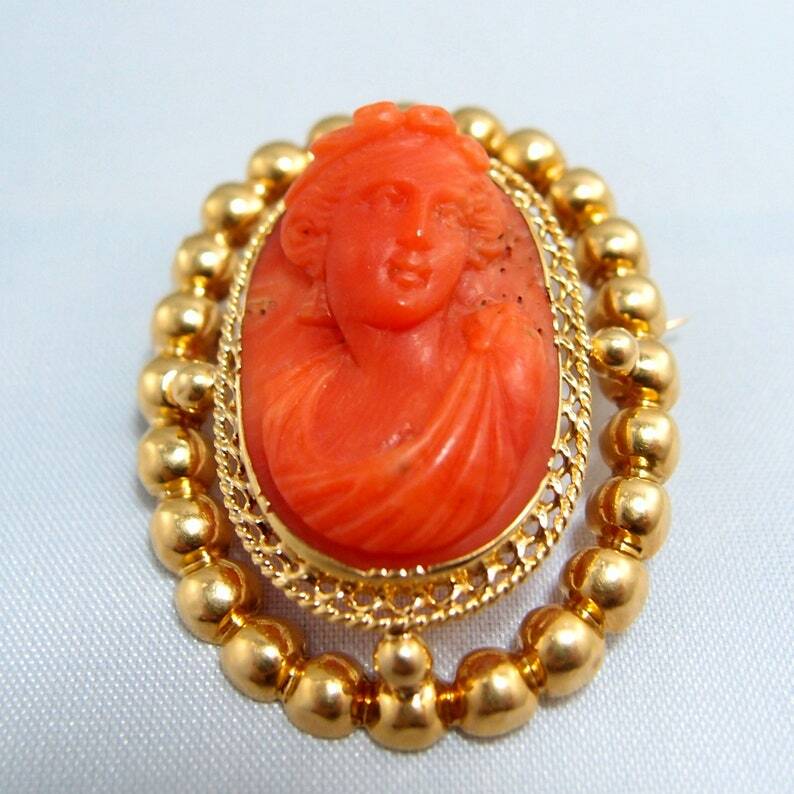 Midwest Art Objects is pleased to offer this antique Italian orange red Coral Cameo pendant. The Cameo is of fine quality and is intricately carved to represent a woman head and torso. This fine quality coral cameo brooch dates back to the late nineteenth century (Circa 1870s). The Italian cameo features bright red with orange overtone, and is bezel set in an 18K solid bright yellow gold frame. The frame is finely etched and is decorated with beads. The complementary looks of the bright yellow gold with the reddish cameo is stunning! 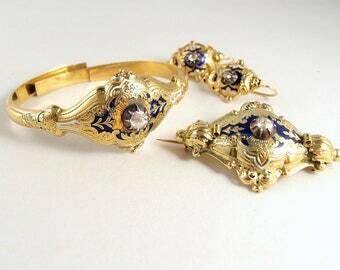 Both the cameo and the framing gold brooch feature outstanding quality and craftsmanship. It is in excellent condition and is guaranteed with the display of both the French eagle head and the owl assay marks on the C closure and on the pin.